Last weekend I visited Rolly Sauvé in North Bay. 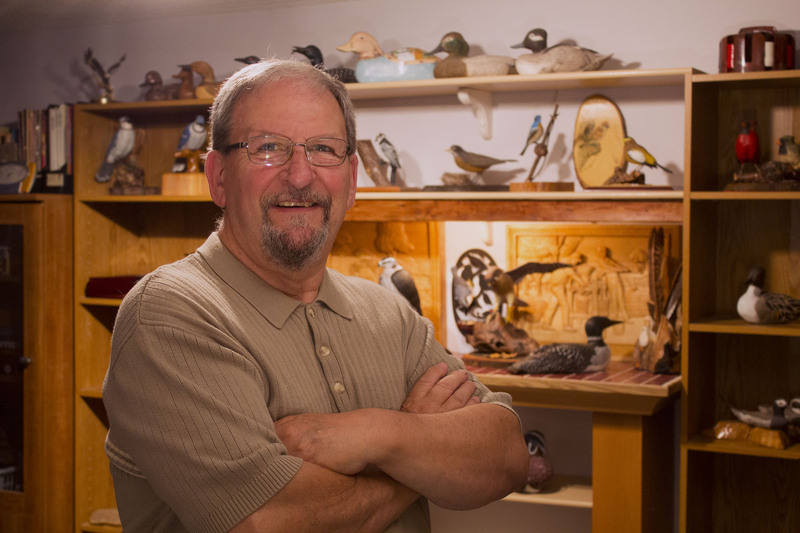 Rolly has been carving for 30 years and his specialty is wildfowl. That’s not an area I know much about, but you can’t not be impressed by Rolly’s work. He divides each carving into three stages – sculpting, texturing/detailing and sealing/painting – and devotes meticulous attention to all three. Judges and collectors would agree. Rolly has several collectors, including one in New Brunswick who bought a carving a year for several years. Buffalo Sabres coach Ted Nolan is a fan. And one of Rolly’s blue jays is on display in the general manager’s office of the Toronto Blue Jays. Members of the Ontario Wood Carvers Association (OWCA) will see an in-depth profile of Rolly and his work in their fall issue of Ontario Woodcarver magazine. 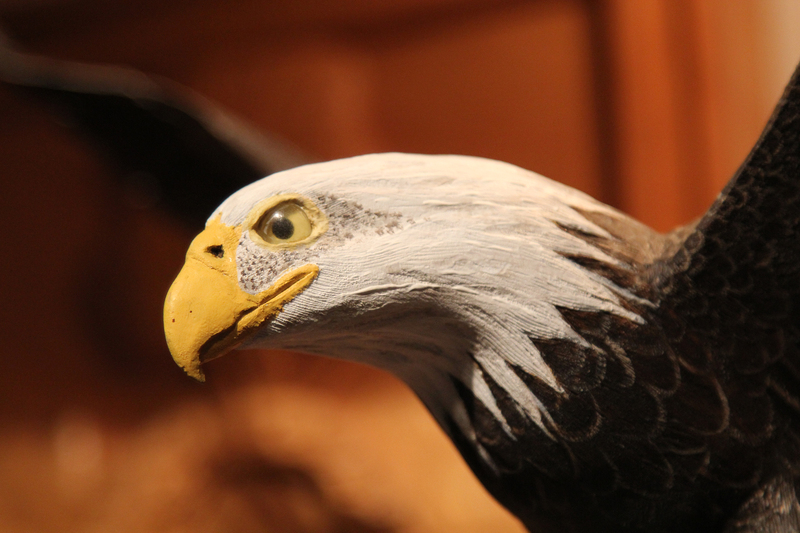 He’ll also be entering artwork in the Kawartha Carving Competition on September 14 and OWCA’s Magic in Wood show, October 18-19. Photos by Ric Potvin. For more of Ric’s work, visit http://ric-potvin.artistwebsites.com/. You can also follow him on facebook at RicPotvinPhotography and on twitter, @rpotvinphoto. 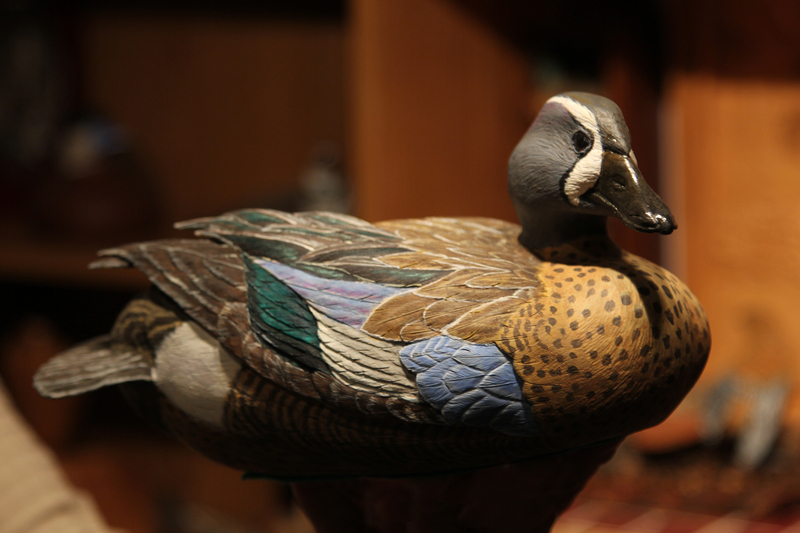 This entry was posted in Uncategorized and tagged North Bay, wildfowl, woodcarving on 28/08/2014 by diamondcarving. Hi. My name’s Alyssa and I love woodcarving. Of all the arts I’ve explored – drawing, painting, pottery, photography and many more – nothing brings me as much joy as working with wood. Unless it’s seeing what other people are creating. This blog will be about the artworks I encounter and the artists who create them. I’ll share what I learn about tools, wood sources and resources. And I’ll post inspiring ideas when they come along. You can also see some of my work too, by following the links at the top. Enjoy! This entry was posted in Uncategorized and tagged woodcarving on 22/08/2014 by diamondcarving.